As the last of the autumn leaves fall, Emirates One&Only Wolgan Valley transforms into a magical winter wonderland. Breathe in the crisp mountain air, curl up by the roaring fireplace, embark on a wildlife adventure or simply gaze at the star-filled sky as we celebrate the very best of the winter season. A scenic 2.5 hour drive from Sydney, located on Australia's Great Dividing Range between the Wollemi National Park and the Gardens of Stone National Park, within the World Heritage-listed Greater Blue Mountains. The resort occupies just one percent of its own 7,000 acre conservancy. The Wolgan Valley is approximately 26 kilometres long and seven kilometres wide. The Wolgan River cuts a deep gorge through the sandstone in part of the valley, forming a bottleneck that is only one kilometre wide. Steep cliffs contrast with the gentle curve of the valley floor and a picturesque road winds along the river to reach the resort on the eastern end. Australia is home to one of the oldest living cultures in the world. The first Australians, the Aboriginal people, came long before the pyramids were built or paintings were drawn in the caves at Lascaux. Evidence of their existence dates back some 40,000 years with ancient artefacts and stone tools unearthed in the valley. Today, the territory is shared by four Aboriginal nations; although it is thought that the Wiradjuri are most likely to have been predominant through the ages. The name Wolgan Valley is derived from the Aboriginal word 'wolga' used for the vine commonly known as Old Man's Beard, found throughout the region. The valley's settlement history can be traced through just two families, both of whom were intrinsically linked to the area; the Walkers and the Webbs. It was William Walker who received the original land grant and built the farmhouse still located on the property today, named the 1832 Heritage Homestead after the year it was built. In 1836, Charles Darwin visited the Homestead during his trip to Australia whilst staying as a guest of the Walker family at their nearby Wallerawang Estate. So taken was he by the sheer rock formations and scope of the land, the naturalist's great-great-grandson, who makes his home in the region, suggests that Darwin's revolutionary theory first took shape not in the Galápagos but in the primeval Blue Mountains. Over the years, the Homestead fell into disrepair. The previously condemned site was restored to its former glory after two years of meticulous work by Ian Kiernan, an Officer of the Order of Australia (AO) and former Australian of the Year. 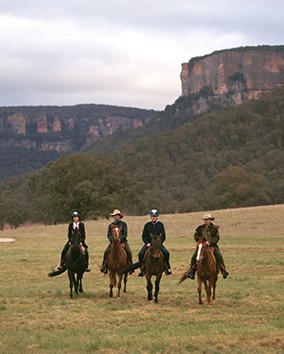 The 1832 Homestead highlights the Aboriginal, settler and agricultural history of the Wolgan Valley, giving guests a glimpse into the lives and conditions faced by early Australian settlers. The Homestead’s accompanying garden was also re‐established in precisely the same location and format as the original. Thriving today and bigger and better, these organic gardens supply the kitchen with an array of seasonal and organic vegetables, fruits and herbs throughout the year. Situated within a tranquil natural setting boasting majestic valley views are six exceptionally private double treatment rooms. 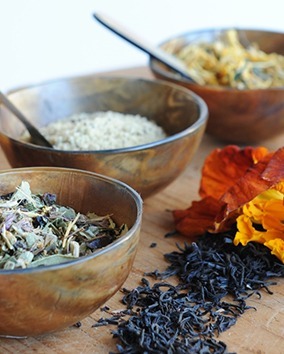 Holistic therapies are dispensed using Australia’s exclusive Sodashi skincare line, regarded internationally as the world’s purest spa brand. The Main Homestead features the Wolgan Dining Room serving exceptional six course dinner menus and à la carte selections, The Country Kitchen featuring providore-style dining on regional specialties, and the Valley Bar and Terrace Lounge with indoor/outdoor seating, open fireplace and expansive veranda. Signature experiences embrace the resort’s wide-ranging conservation efforts with wildlife safaris, horse riding adventures and heritage tours, whilst hands-on Conservation Activity excursions are focused on preserving the surrounding wildlife sanctuary. 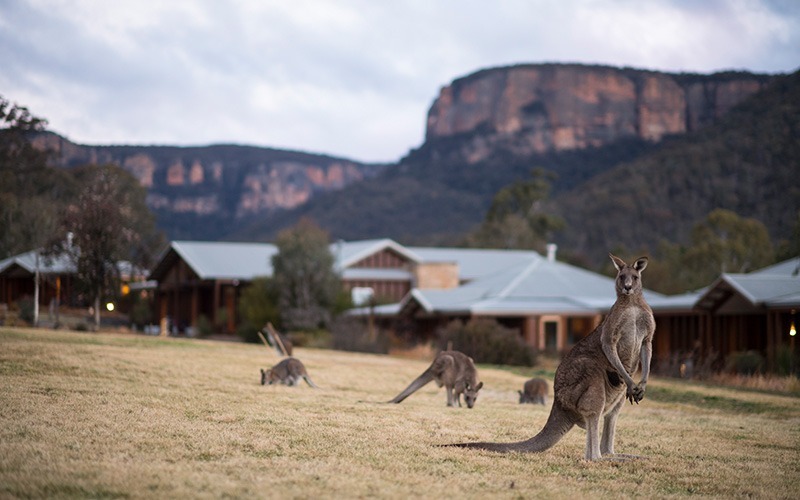 Emirates One&Only Wolgan Valley is the first hotel in the world to achieve internationally accredited carbon-neutral certification by CarbonZero, a distinction it continues to receive every year.